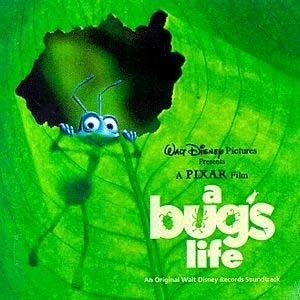 Looking to follow up the epic (and unexpected) success of "Toy Story," Pixar dreamed up this inventive tale about insects called "A Bug's Life" (1998). 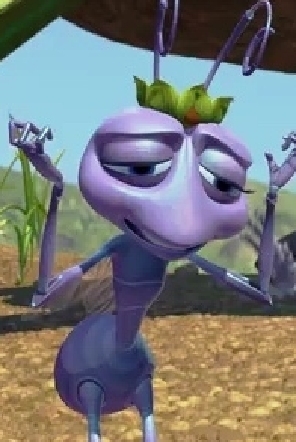 Coincidentally, Dreamworks also came out with a tale centered around bugs that same year, so it was an antenna-to-antenna battle to see who would come out on top in the bug wars. 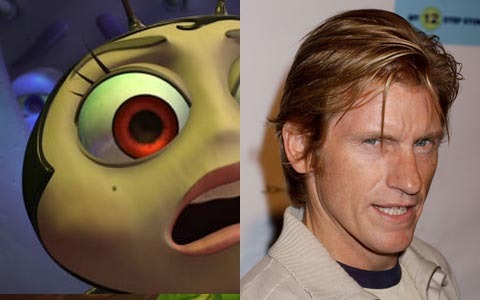 While opinions certainly differ on the quality question, financially it was no contest: "A Bug's Life" grossed almost twice as much as "Antz," despite the fact that it was loaded with TV actors as opposed to top movie stars like Woody Allen and Gene Hackman in "Antz." This cemented Pixar's reputation and proved the key link in its legendary chain of hits which ultimately led to its takeover by Disney. 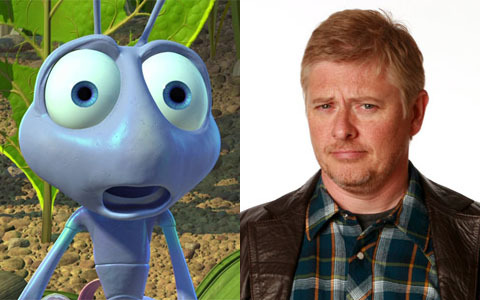 Directed by Pixar veterans John Lasseter and Andrew Stanton, "A Bug's Life" introduces us to Flik (Dave Foley). He is an ant who likes to invent things. Despite being very creative, he is unliked by the other ants. 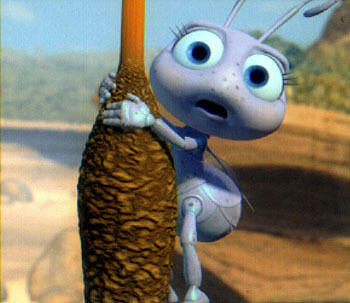 Flik endangers the entire ant colony by managing to ruin an event that routinely goes off without a hitch. Grasshoppers visit Flik's anthill ("Ant Island") every spring to eat all of the food the ants have collected in an event called "The Gathering." It is a protection racket that nobody questions. 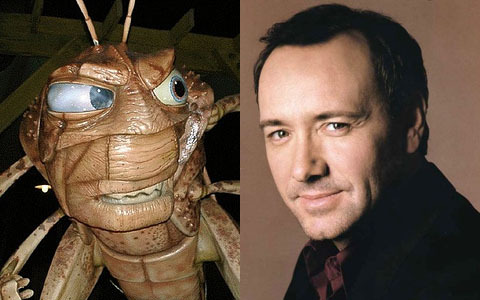 Flik, however, loses that year's offering in the river, and head grasshopper Hopper (Kevin Spacey) gets upset. He gives the ants until the fall to gather more seeds for his gang as food or he will kill the ants and eat them instead. The ants hurry to comply with Hopper's ultimatum. 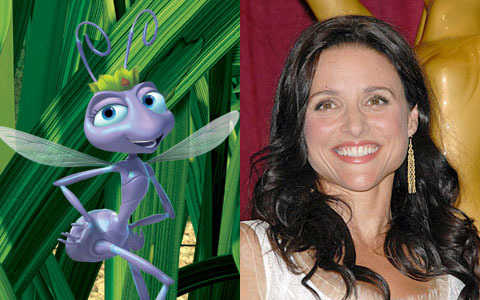 In order to redeem himself and impress his love interest, Princess Atta (Julia Louis Dreyfuss), Flik decides to try and rid the ants of the grasshopper threat once and for all. Atta allows him to venture out to recruit mercenaries to fight the grasshoppers so that he won't be around to mess up the next offering to Hopper. Through a series of misunderstandings, instead of warriors, Flik winds up with a group of unhappy bugs who have just been fired from a flea circus. It then comes down to Flik and these decidedly non-warrior actors to figure out a way to fight off the dreaded grasshopper gang. 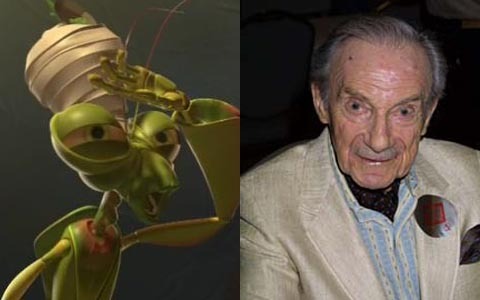 There is good character development, with the circus bugs having wacky idiosyncracies: a caterpillar who can't wait to be a butterfly, a ladybird who gets mistaken as a girl, a pair of woodlouse who can't speak any English, praying mantis Manny (Jonathan Harris from "Lost in Space"), and so on. Flick has a number of very funny lines that everyone can enjoy, but the film is aimed at a younger audience than "Toy Story." Even so, Hopper is a very scary character, and some scenes, such as one at the locust hangout, may frighten some children in the audience. 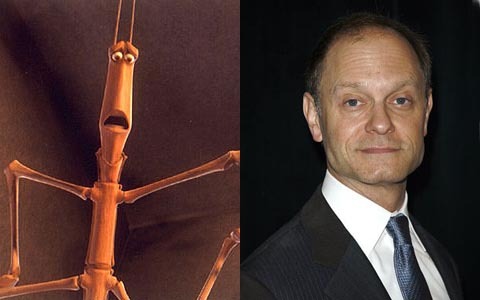 The voice actors are, for the most part, comic character actors from shows such as "Frasier" and the like, with the occasional screen legend and promising newcomer thrown in for good measure: Hayden Panettiere as Princess Atta's little sister Dot, Phyllis Diller as the Queen, Richard Kind as Molt, David Hyde Pierce as Slim, Joe Ranft as Heimlich, Dennis Leary as Francis, Madeline Kahn as the Gypsy Moth, Bonnie Hunt as Rosie, Brad Garrett as Dim, and the ubiquitous John Ratzenberger as P.T. Flea. Dave Foley is likeable enough as the lead character, but his voice may put some off as being rather high-pitched. The story is very straightforward and the pace a bit slow at the beginning, while some might see the overall plot as fairly predictable and bland. To claim that the story is a take-off on Akira Kurosawa's "Seven Samurai" may be accurate, but it puts this simple animation film in fast company with which it really doesn't belong. Repeat viewings, though, might improve your opinion of the film, which really is quite clever. The critics did not particularly like this film, and there have been no sequels or plans to revisit Ant Island. It thus is easy to label this film a failure, but that is far from the truth. The animation is superb, as you would expect from Pixar. There is a lot of creativity put up on the screen, such as the end credits which have humorous "out-takes" (and which are probably as phony as all the other out-takes you will see elsewhere). Great care is taken to show how normal and seemingly inconsequential aspects of nature, such as raindrops, may seem vastly different to ants and other bugs than they do to us. While critics say that that this does not measure up to "The Incredibles" and "Toy Story," the truth is that very few films do. 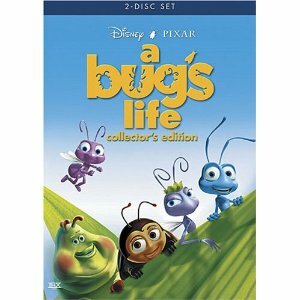 The misfortune of "A Bug's Life" is that it has gotten lost in the aftermath of Pixar's string of blockbuster animation pictures. 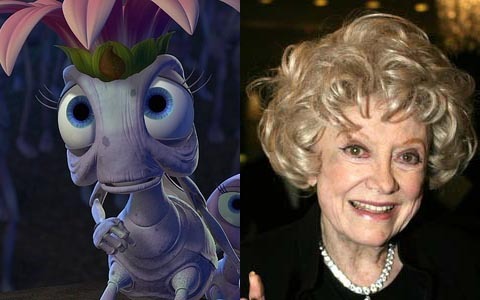 Think of "A Bug's Life" as an overlooked gem. Many will find it very funny, and it is a must-see for fans of animation. 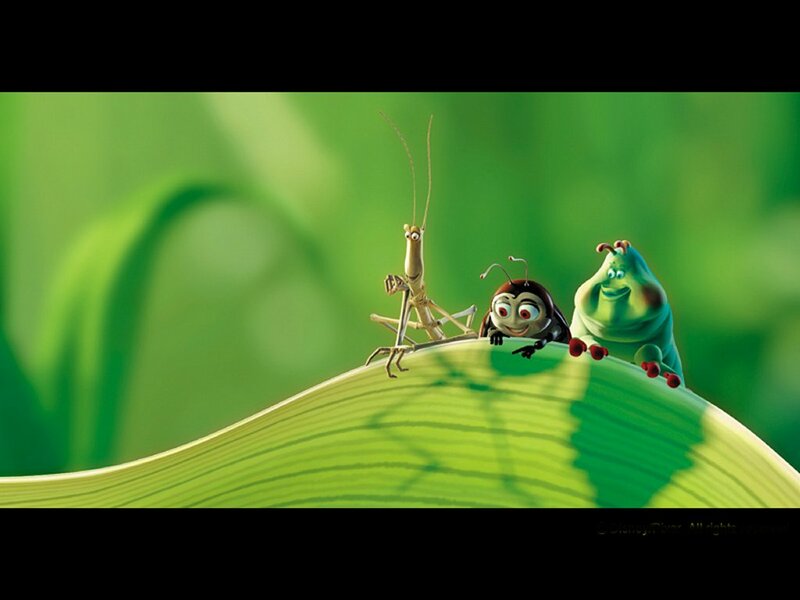 Below is the trailer for "A Bug's Life."